Save your machine ..... and your purge. Purging your equipment of liquid plastic resin is a required but messy job. Operators, maintenance personnel and engineers drop purge on their own premium capital equipment, on the shop floor, or maybe even on a piece of cardboard. The purge not only sticks to the equipment and is difficult and messy to remove, it immediately becomes contaminated from dirt particulates and other foreign material. The PURGE-PAD™ by Insul-Vest not only provides a mobile surface to purge upon, but at the same time provides a non-stick dirt free surface. 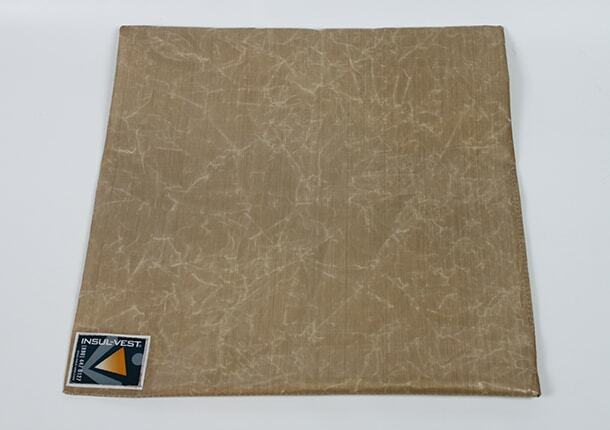 The PURGE-PAD™ is constructed of a high grade of Teflon impregnated cloth. Dirt and plastic will not stick to this pad!!! NO WAY!!!!!!!! After collecting the purge on the PURGE-PAD™, simply peel the cooled purge from the PURGE-PAD™ and toss it into your nearest regrinder or disposal unit. The PURGE-PAD™ then becomes available for your next purge....again and again and again.